Outdoor rugs are IN! Decorating and accessorizing are not only for the interiors. 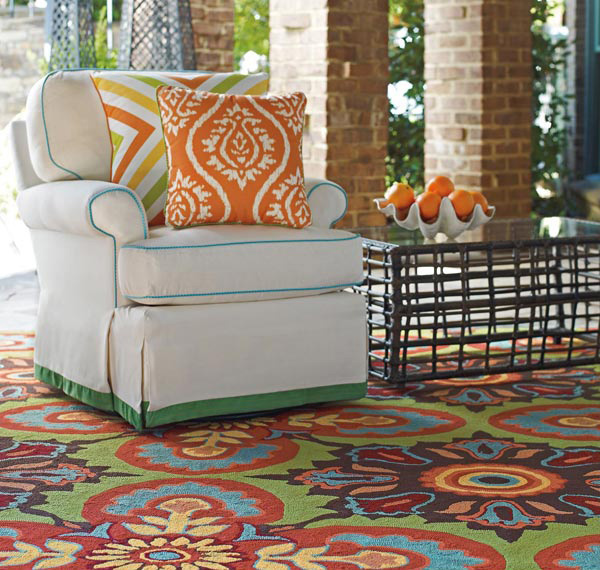 Rugs can pull up together your space and furniture. This same thing can happen within your patio, deck, garden or the pool area. A total, magnificent transformation will happen to your drab space. We would want to make the whole place inviting and very welcoming not only for our guests, as well as for our family and ourselves. 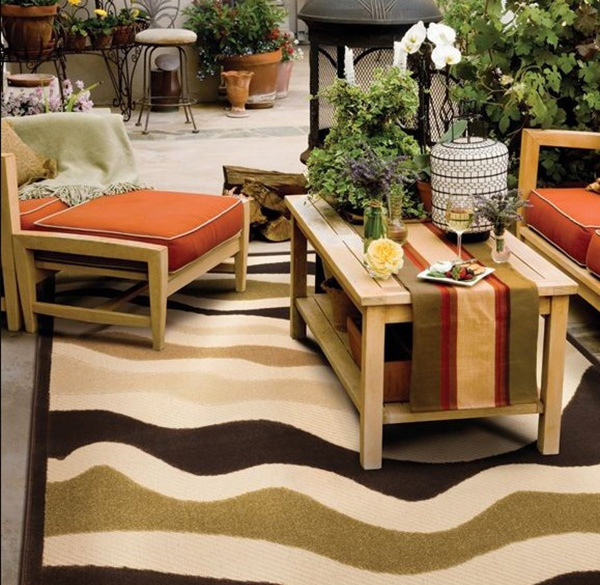 The Heat Wave Design Rug features soft, rich brown colors in wave design. The rug is washable and easily cleaned. A reversible rug which adds up brightness. The colors are UV stabilized to prevent deterioration. An over scale medallion bold graphic that is surely to be attractive and focal point for your outdoors. 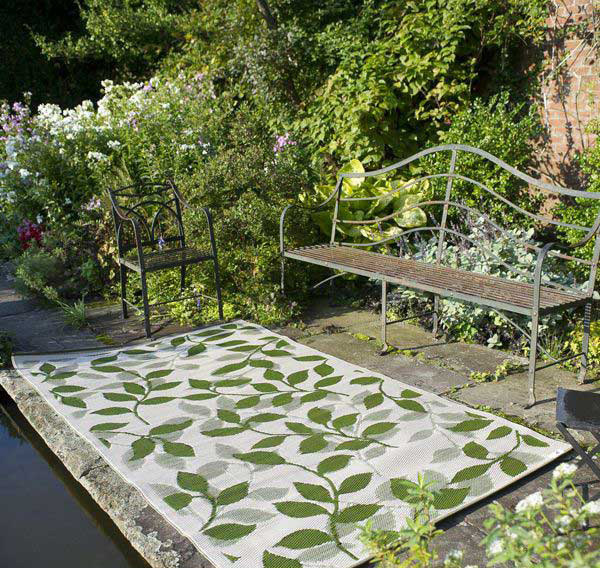 This rug design will totally blend in to your outdoor space with its leaf patterns and naturalistic design. 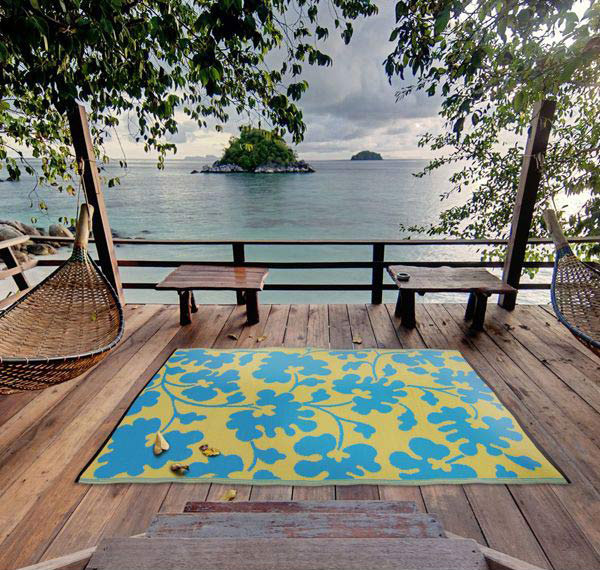 Enjoy the revitalizing feeling you has with this starfish design rug. Aside from the cozy design of a starfish lying on a blue background, it is also soft and comfortable from the second you step on it. 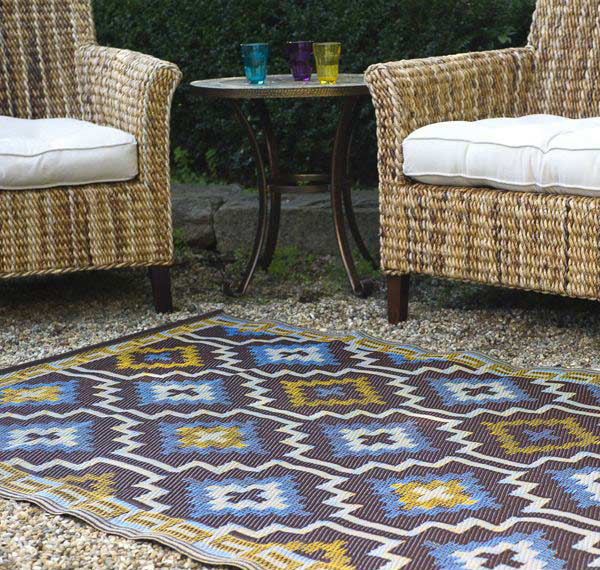 The vibrant and luxurious blue and chocolate brown colors in this diamond patterned rug will be perfect in any outdoor setting. Its pattern is both classic and funky. Enchanting, enticing, and durable. 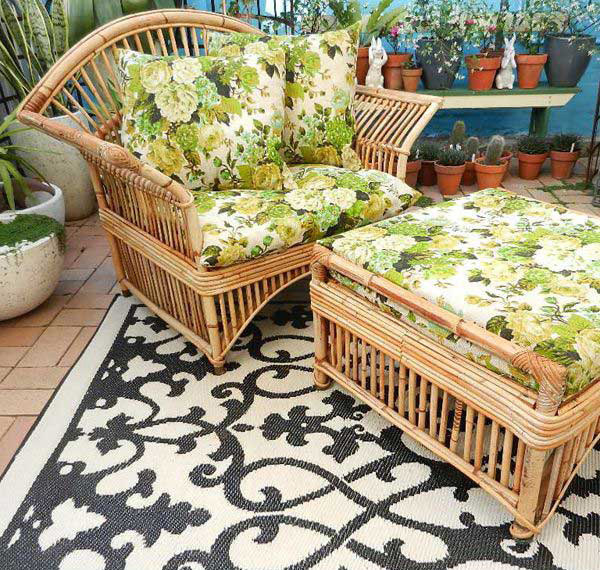 This rug from an evocative collection of home textiles and accessories will beautifully adorn your patios. 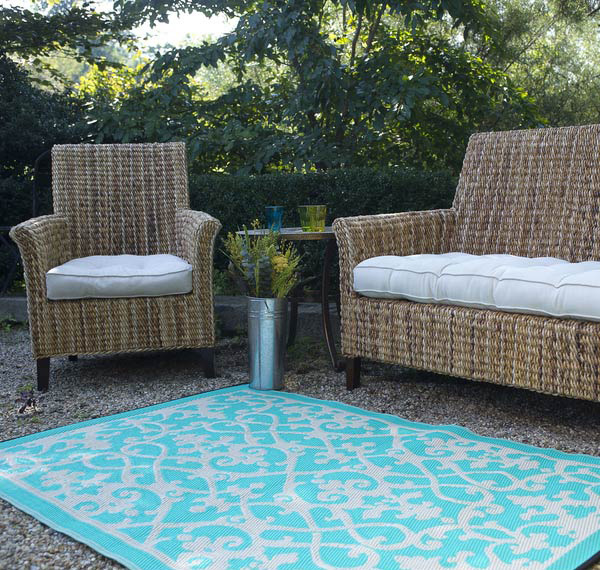 A chic and preppy outdoor rug features a bold floral motif. This washable area rug is mildew resistant and resists to fading as well. This modern and vibrant geometric, reversible rug is made using premium quality which offers durability, comfort and beauty. 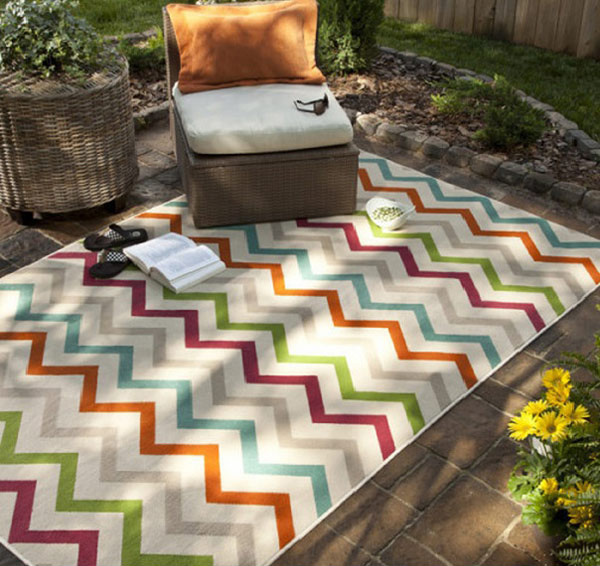 Versatile and contemporary, this Chevron Apple Indoor/Outdoor Rug will brighten up your patios and has been UV treated to stand up to the outdoor elements such as the weather. 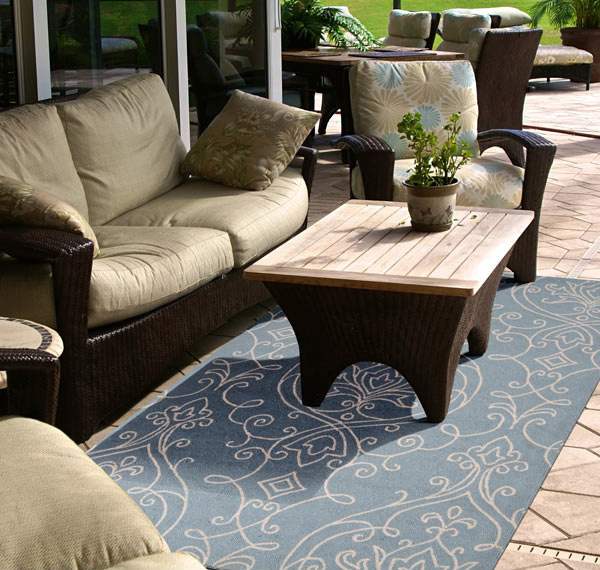 This beautifully crafted rug can accentuate your outdoor living area with its bold, suncrest graphics and top quality weatherproof. 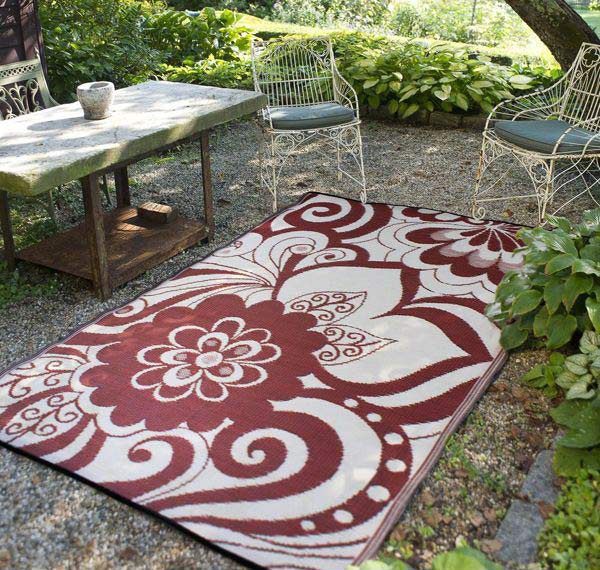 Be bold and dainty with this graphical scroll veins rug which is very soft and comfortable when walking barefoot. 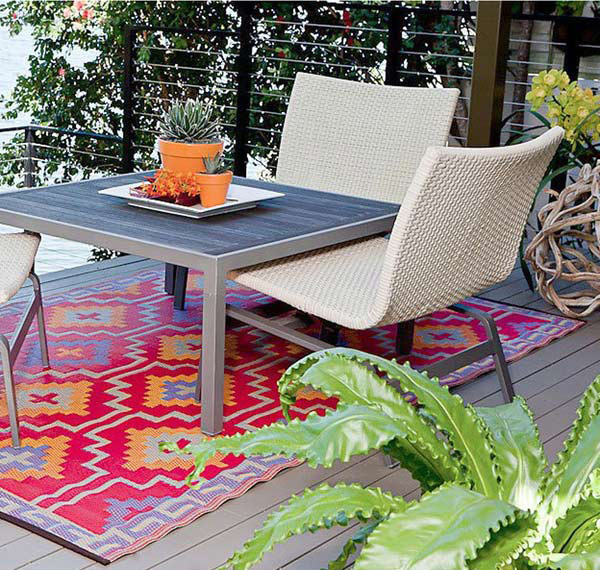 Accent your room with this jaunty and modern outdoor area rug. 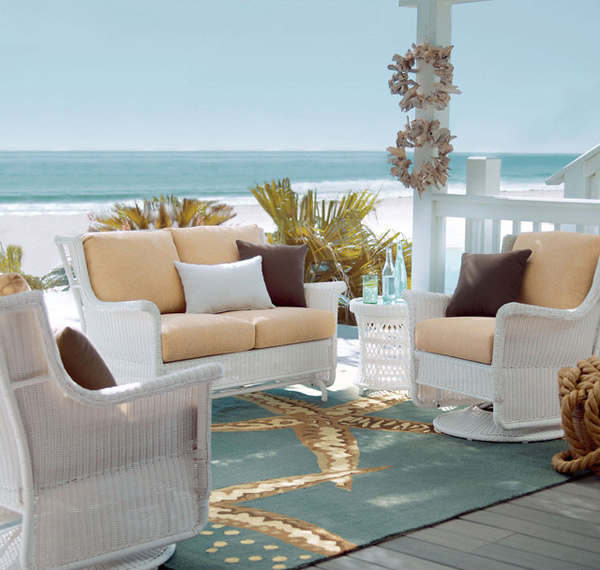 Not only that it brings trend and sophistication, as well as it is stain- and mildew- resistant. Be exceptional and whimsical with a luxurious scroll graphic. 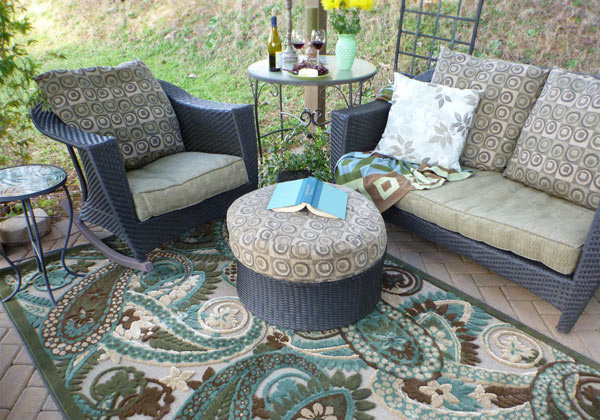 This rug will make your patios or deck more classy and rich with its pattern and design. 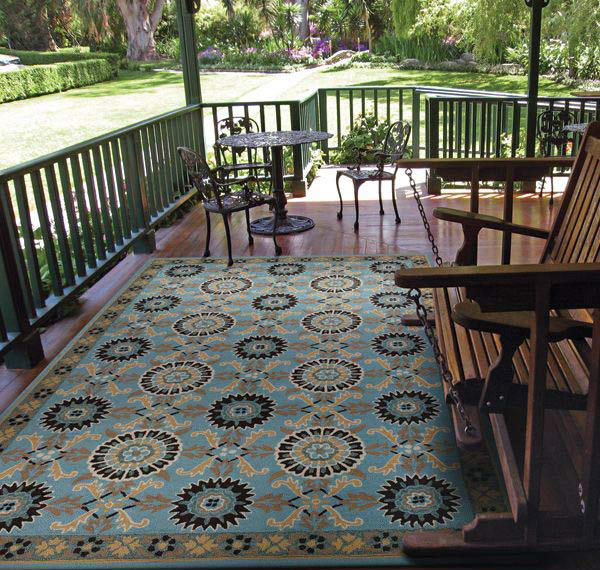 Whether placed interior or exterior, this Jacobean Paisley rug in 3D is subtly eye catching. 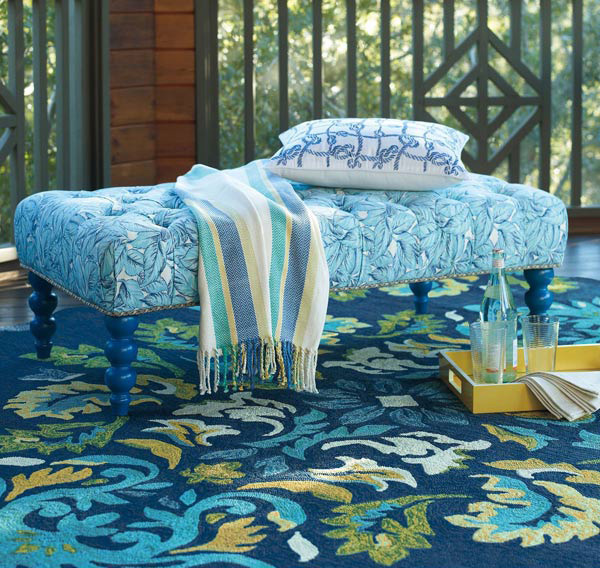 From a collection of high quality and top trends, this long lasting floor covering will provide warmth with its scrollwork against a soft sky blue background. Nature is within this Natural and Terra Cotta Rug having fresh pineapples in a natural cocoa color with a darker cocoa border. 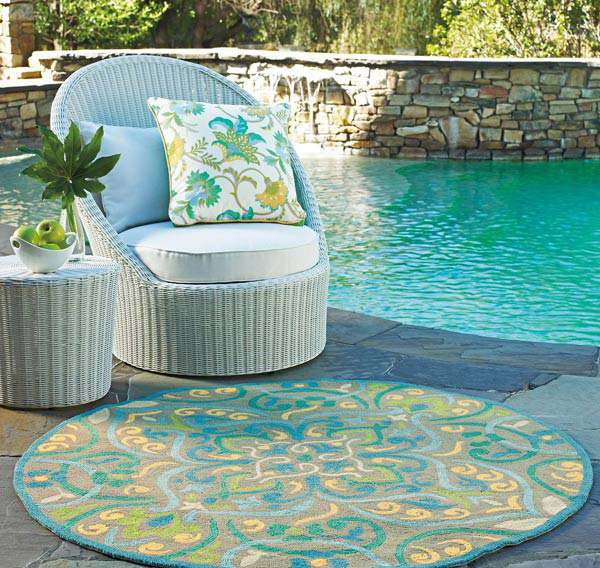 Inspired by colorful Mexican pottery, this durable rug is water- and mildew- resistant. This will add a pop of color to your room. 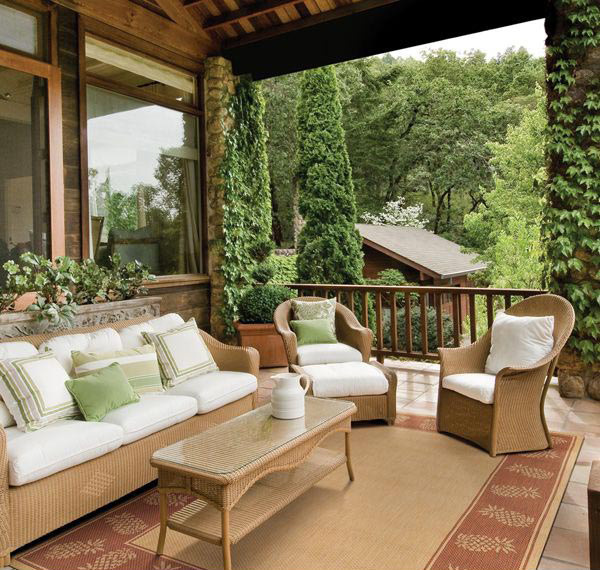 Now, do you know why you need to own an outdoor rug and know how to pick the right material? 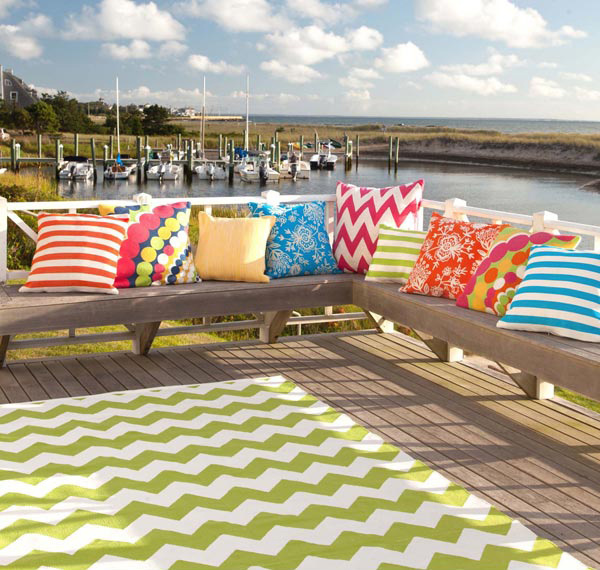 Buckle up your backyard and be wise as to how not to spend a load of money for your outdoor furniture with these 18 Outdoor Area Rugs. The next thing you’ll know, your backyard is already transformed into an exterior living area where you plan to relax and enjoy. For your indoor space, you may want to check on sheepskin area rugs that are soft and stylish.